We know a holiday should always be well prepared! Let us help you with our recommended list of Bohol travel resources, tips and companies, that will ensure that your trip is catered for every comfort and budget! Our page relates to what is new and is continually upgraded and expanded. Our little recommendation Travel Resources list based solely from our own experience and the experience of many tourists here on Bohol Island. Take a look and SAVE MONEY. 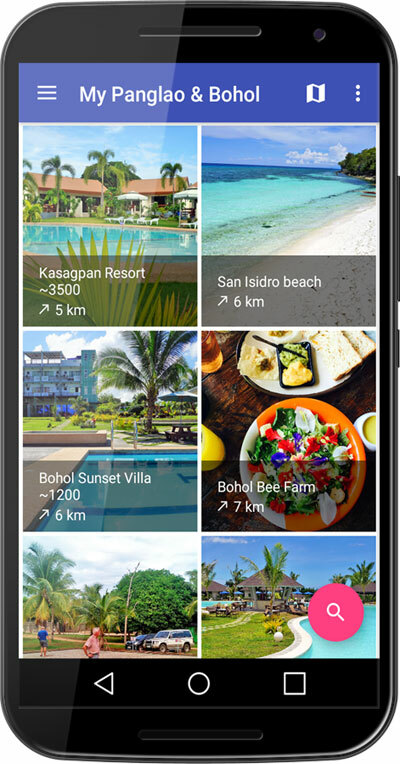 Tip Really highly recommended is this new Android app, which was developed specifically for the islands Panglao and Bohol. The content of the website is testimony to more than 10 years of philippines experience. Almost all important topics are described in detail and easily understandable. In addition, there is a very nice BLOG with constantly new interesting articles from the Philippines. Anyone who is interested in the Philippines, or who is planning a trip should have a look at Silent Gardens. Jetradar is one of the largest online search engines for flights all over the world. Jetradar compare airfares from over 720 airlines. Jetradar searches travel and airline sites to help you buy cheap tickets. Try it and add your flight data in the search fields. Install the Jetradar Mobile App in your language. Flights always and everywhere to book. Numerous functions and filter options. Integrated sharing feature for friends and much more. Observe and book flights on your Mobile Device. HotelLook allows you to find and compare worldwide hotel prices provided by leading reservation systems. HotelLook working together with more than 10 online reservation systems such as Booking.com, Agoda.com, Hotels.com, and Expedia. Compare Hotel Rates and find the best value for money in Panglao – Philippines. Hotellook App – The easiest way to compare hotels & rates in 67 leading reservation systems. Whether you are planning a vacation or are already in an unfamiliar city? Hotellook Mobile App finds the best and cheapest place for you!